The Solway Energy Gateway is a sustainable, renewable energy project to create an “electric bridge” across the Solway Firth. It will harness tidal energy to generate green electricity, whilst creating a new pedestrian and cycle route between England and Scotland, a tourist attraction and a multi-use asset for the benefit of local communities. It will be a bridge, not a barrage. It will use new Venturi Enhanced Turbine Technology (VETT), half the cost of a barrage, but with the same design life, and without the environmental disadvantages. It will have a generation capacity of about 100MW (megawatts), with a consistent output of about 22MW or 192GWh (gigawatt hours) – enough to power about 60,000 homes. Unlike a barrage, VETT doesn’t need to impound water to create a substantial “head” drop to power the turbines. It works on tidal flow in as little as three metres of water, and the continuous flow of the tide in and out means it can generate electricity almost all of the time. The bridge will cross the Solway at its narrowest point, using the route of the former railway viaduct between Seafield, Annan (Dumfries and Galloway) and Herdhill Scar, Bowness-on-Solway (Cumbria), which was demolished in 1933. It will restore the link between England and Scotland, but it will carry only pedestrians and cyclists, not cars or trains. Solway Energy Gateway Ltd is a local company committed to a sustainable and ethical business model, focused on partnership working, using local resources where possible and striving to enhance the social, environmental and economic fabric of the area. Founded and chaired by Cumbrian social entrepreneur Nigel Catterson, who is also the chairman of Britain’s Energy Coast, the company is working in partnership with world-leading engineering consultancy ARUP to develop its proposals, and with technology partner VerdErg Renewable Energy. Will it harm the environment or wildlife? We are committed to protecting the unique environment of the Solway Firth. A bridge does not impound water like a barrage, and 80% of the water will flow through the gateway unimpeded. The 20% of water that passes through the VETT will be screened for fish, but live tests have shown that fish pass through unharmed. Because the bridge will have minimal effect on the ebb and flow of the tide, it should not affect the inter-tidal areas that are vital to wading birds. How will local communities benefit? 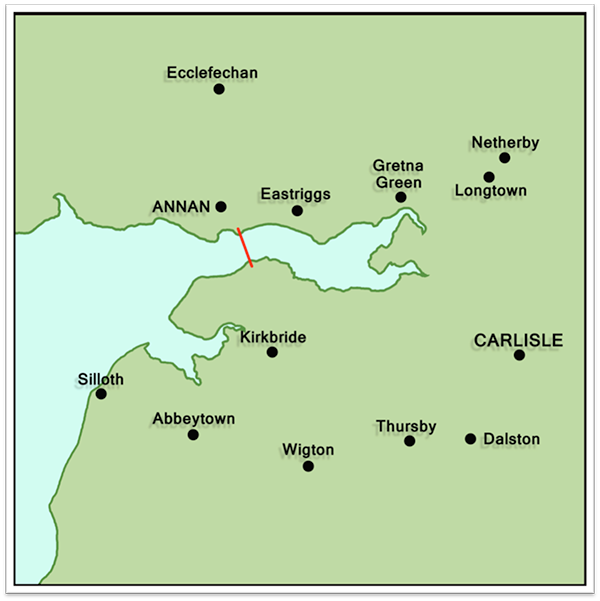 The Solway Energy Gateway will contribute to local social and economic regeneration for the next 120 years or more. Private investment is needed to build it, but local communities will ultimately share in both ownership and income. We are looking at different models at the moment and will come forward with proposals in due course. A scoping study is due to start early in 2015, followed by a full feasibility study which will allow us to develop detailed plans and solutions, so we can bring forward a scheme for public consultation and environmental assessment. We hope the feasibility study will be complete by mid-2016. Subject to securing the necessary funding, permits and consents, construction could start in 2018. Copyright © 2011 Solway Energy Gateway Ltd . All rights reserved.